The authorities of Azerbaijan must definitely privatize pro-governmental press, such a statement has been made on 22 July in Baku during the news conference by the OSCE spokesman on mass media freedom Miklosh Harashti, Trend reports. Such a move from the part of the authorities, in his opinion, will promote restoring the public trust to the countryвЂ™s media, ensuring pluralism among the press of Azerbaijan. The OSCE spokesman on the media freedom made public some details of his report on the result of his April visit to Baku, having noted, that the document contains a number of recommendations to the countryвЂ™s leadership. Touching upon the situation in the electronic media field in Azerbaijan, the OSCE representative noted, that in the TV вЂ"Radio broadcasting spectrum the situation is much more positive, then in the countryвЂ™s press bodies. В"In comparison to the radio and TV channels, the press of Azerbaijan is obviously weak, both in the professional aspect and in the unbiased coverage of events. The analysis of the periodical press of Azerbaijan showed again the rightfulness of my thesisвЂќ, Harashti noted, having marked, that there are, undoubtedly, some manifestations of the impartial approach but they remain at the вЂ�at the individual levelвЂќ. 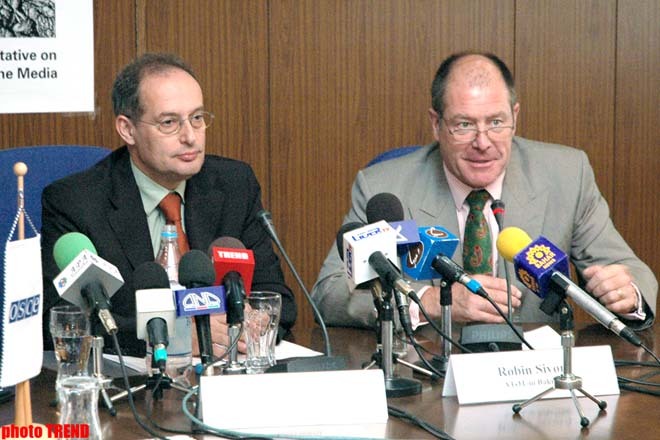 In regard to the murder of the Monitor magazine editor-in-chief Elmar Husseynov, Miklosh Harashti noted, that during the previous visit to Baku the leadership of Azerbaijan stated on certain progress in the investigation process, however, the public awareness in this case is not sufficient. В"The wide publicity of the investigation details is important for many reasons. Particularly, this step of the authorities will enable the journalists to feel themselves saferвЂќ. Commenting on the statement about the pressure from the authorities on the mass media, Harashti noted, that the full control over media is not observed in Azerbaijan. 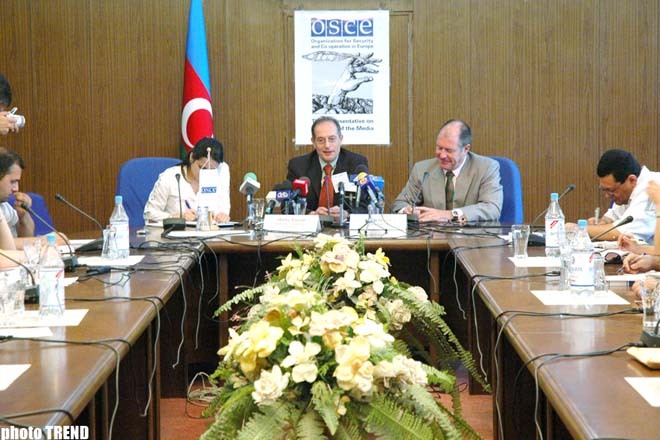 В"I know, there are courageous journalists in your country, who can obtain the information needed for themвЂќ, the OSCE official said, having confirmed, that there are still spheres in Azerbaijan, where the necessity for crucial changes developed. Speaking of the state TV privatization, Harashti underlined, that as long as 50% of shares will be owned by the state, вЂњthe AZTV will remain the state channelвЂќ. It does not go in line with the Council of Europe and OSCE principles, and in any other country claiming for the availability of the free press, such channels cannot existвЂќ, Harashti stressed. The media freedom representative voiced also regret, that no licenses for opening new TV channels will be granted, noting also the necessity to prepare the Frequencies Map for Azerbaijan.